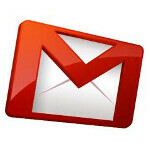 Back in November, Google released a Gmail app for the Apple iPhone, iPod and iPad. After pulling it for a short period while Google fixed a nasty bug, the Gmail app was returned to the App Store. Now, Gmail for iOS has received its first update from Google that not only fixes some bugs, but also improves the UI and adds some new features. One of the new features for the Gmail for iOS app is called "Scribbles". 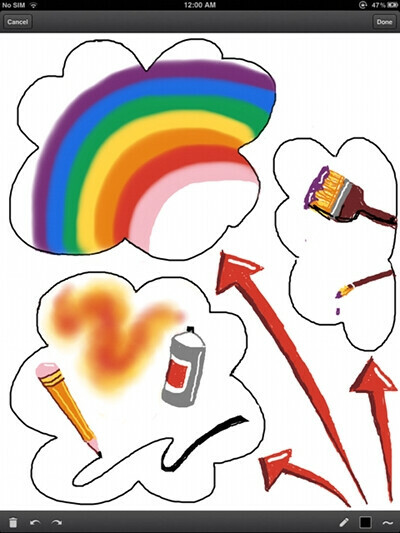 Using different colors, brush sizes, erasers, lines and spray paint, the user can sketch out an illustration and have it attached to an email as a .png file. Another new feature will allow the artist to include a custom signature to messages sent from a mobile device and also adds a way to send out a vacation responder. These new features can be accessed by clicking on the gear icon at the top of the menu. Google is tryhing hard to make the mobile Gmail app for iOS as close as it can be to the desktop version. 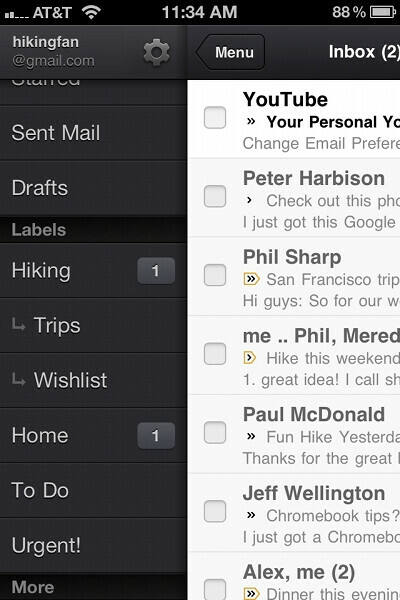 This includes the addition of nested labels with the inbox. Another change, for devices running iOS 5 only, is a new notification sound that alerts users that they have new Gmail. The Mountain View based company is working on some requested additions to the app such as banner notifications, support for multiple logins and "send-as" functionality. Gmail for iOS is available for free in the App Store for those devices running iOS 4 and higher. Will that feature come to android?